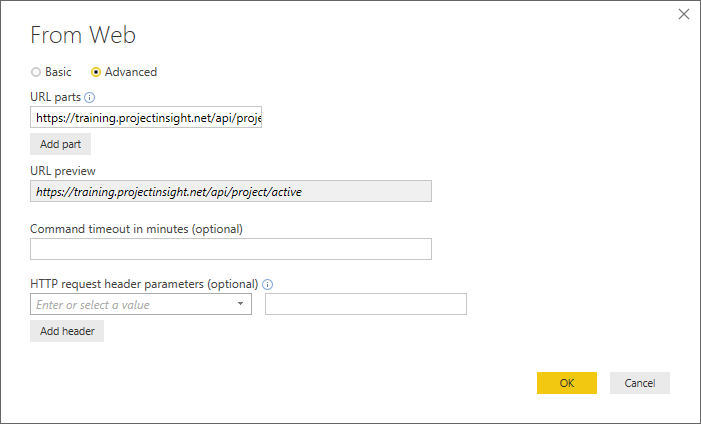 The REST API provides a data retrieval method directly to Power BI using the following steps. 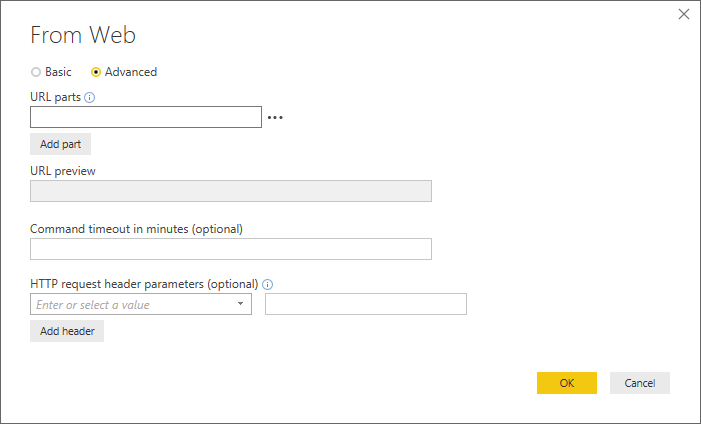 You must be an administrator to create the token from the API (REST) option in the Integration section of Administration in the left navigation. Note the REST API base URL on the following page as we will refer to it later. Click Create REST Api Token. Select the User Context for the data retrieval and click Create Token. Use the radio button for Advanced. Use the REST API base URL noted in Step 1 with the appended REST API path for the item data to retrieve. Reference the Swagger API Documentation for the item's GET path. 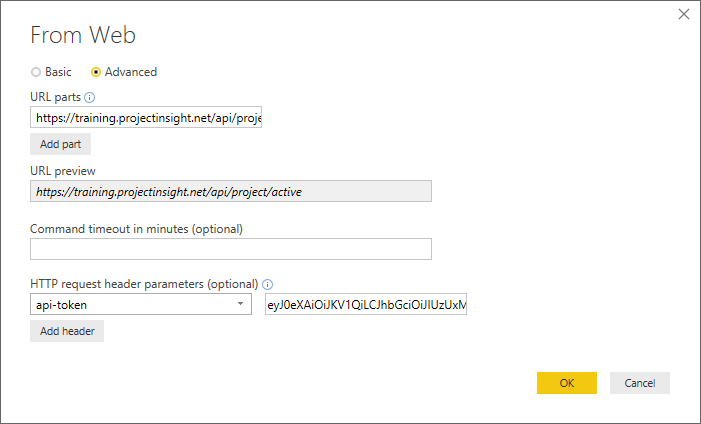 In this example, we want the list of all active projects by placing the full URL with the REST item path into the URL parts. 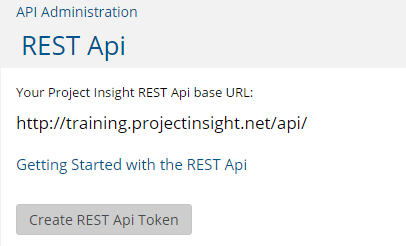 Enter “api-token” in the HTTP request header parameters. 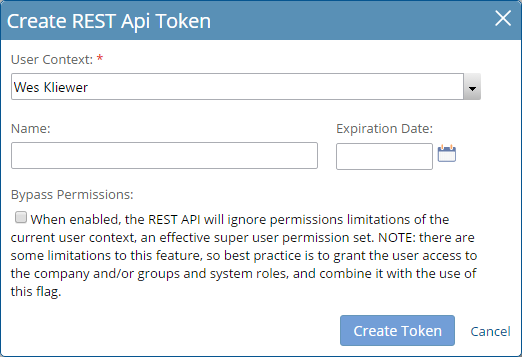 Paste the API token created in Step 1 into the HTTP request header parameters value to the right of your “api-token” entry. Repeat Steps 2 through 4 to retrieve data from additional items.